When visiting Europe, travelers shall be financially covered so to properly challenge any sudden event that might call for unanticipated expenses. As for that matter, the concept of travel insurance policy has been proven to help travelers offering the needed financial support and comfort so to enjoy their travel journey without worries. Minimum coverage of at least 30,000 EUR (equivalent to 50,000 USD). It should cover all member states of the Schengen Area. Cover any expenses which might arise in connection with repatriation for medical reasons, urgent health attention and/or emergency hospital treatment or death. Despite that the travel health insurance is a necessary travel tool that everyone is worth having it, not all travelers are obliged to. The only people for which having a covered insurance policy is a mandatory requirement are visa nationalities. This group of travelers is always required to have the needed coverage for the entire period of their stay in Europe, regardless if they go there for business, tourism, studying, holidays, or for other reasons. Foreign travelers visiting Europe who enjoy visa-free procedures with the EU, they shall get their preferred travel insurance policy optionally – but they are not demanded to. Anyone travelling temporarily to Europe from a country that is subject to visa requirements, be it an individual visitors or group visitors, tourists, or business travelers. The Schengen VISA Insurance policy can be purchased either online here for a very low cost or conventionally depending on the chosen company. Who provides Schengen Travel Insurance? 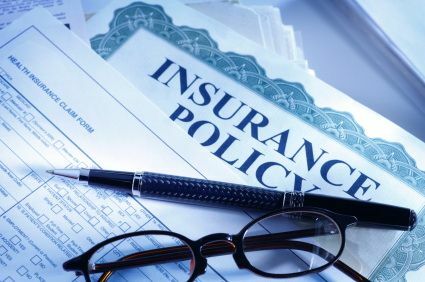 First and foremost, the health insurance policy that one already possesses through the employment contract might cover international medical emergency expenses. However, there are usually limitations to this offer, therefore one shall be well aware of what to expect and what not to expect when having a medical issue in a Schengen territory. Usually, travelers purchase an individual Schengen travel insurance policy for the days planned to spend in Europe at the rightful insurance/travel agency. Make sure the company you choose is licensed and accepted in the Schengen country you are planning to travel to. We recommend MAWISTA Visum by ALLIANZ WorldWide – It is very cheap and it is accepted by European Embassies. You, also can cancel it for free of charge, subject to presentation of proof that a visa has been refused! MAWISTA Travel insurance provides the mandatory insurance certificate required when you apply for a Schengen visa. As aforementioned, before purchasing another travel insurance policy for your upcoming travel to Europe make sure that the one you already have doesn’t cover or alleviate any international health emergency costs. In case your policy does cover some international medical costs carefully check the restrictions and limitations to the travel insurance policy. Surprises at this particular matter are never welcome. If you are travelling by car in the Schengen region and can’t afford to pay crazy amounts of money in case of an unpredictable car accident – or simply you are not willing to give all that money away, you shall consider purchasing a combined travel insurance including health matters as well as valuable possessions. Depending on the travel destination the risk of illness varies with the changes in the climate or the natural habitat (unfamiliar microbe residents). It’s highly recommendable for people with preexisting conditions like allergies, for example, to carry their medical file from their personal physician describing the condition and the drugs prescribed to maintain it. In case one has a chronic disease, again, it’s smart to be carrying the prescribed drugs in the amount needed for the days spent in the international domain. What does Europe Travel Insurance policy usually cover? Usually, the insurers cover pregnancy-related expenses, if the travel occurs during the first trimester. After that, insurance coverage varies from insurer to insurer. Travel Medical Insurance policies for travelling to Europe that fulfill Schengen Visa requirements can be purchased online here. Should travel visa insurance policy cover all Schengen Area countries? Yes, travel health insurance policy should cover all member states: Austria, Belgium, Czech Republic, Denmark, Estonia, Finland, France, Germany, Greece, Hungary, Iceland, Italy, Latvia, Liechtenstein, Lithuania, Luxembourg, Malta, Netherlands, Norway, Poland, Portugal, Slovakia, Slovenia, Spain, Sweden and Switzerland. What is presumably excluded or optional in a common Schengen travel insurance policy? Acute onset of pre-existing conditions – It means a sudden and unexpected occurrence of pre-existing medical conditions without any prior warning from a health care professional. If you have pre-existing conditions, make sure to get this coverage to protect you against any emergency situation that arises due to pre-existing conditions in spite of taking care. How to find cheap travel visa insurance for Europe? Finding the right cheap travel visa insurance for Europe calls for an individual and personalized desk-researching. This means having to search online on your own for the appropriate travel insurance policy. It is recommended that you make a comparison of products and companies before you decide which company has the cheapest and the best travel insurance for Schengen visa. Something not to be confused is the price, as not all low-cost travel insurance policies contain low-quality services and not pricey insurance plans have a high-quality offer. That is why, the safest way to properly choose amongst boundless offers of travel insurance companies, is by choosing not the cheapest travel insurance, but the policy which covers all the areas as required by the Schengen visa application requirements. Why you should choose MAWISTA as your travel insurance partner when traveling to Europe? MAWISTA Visum by ALLIANZ WorldWide will allow you to fully enjoy your travel to the Schengen Area and Europe with peace of mind. How much does Schengen Travel Insurance cost? The cost for Schengen visa insurance vary from company to company. Here are the premiums from MAWISTA. For more information about choosing the best Schengen insurance plan for your needs, please visit MAWISTA website. 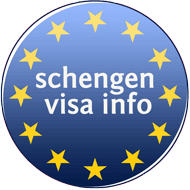 Which nationals are required to purchase travel insurance for Schengen visa? Nationals and passport holders of any of the following countries are required to buy travel insurance in order to be able to apply for a Schengen visa. Buy the required medical travel insurance protection for your Schengen Visa at a very low cost. The concept of travel health insurance relates to covering up medical expenses in case an injury or unexpected sickness arises during one’s trip. In case you are wondering if one needs health insurance when travelling to a foreign country depends deeply on the desired destination as well as the ability to personally cover any health care needs during the stay out in the certain foreign country. However, travel insurance is a must for most people, especially the elderly, people who have predetermined medical conditions and are bound to constant therapy or most importantly if the traveler’s destination happens to be an underdeveloped region. Apart from medical expenses, travel insurance is destined to cover different losses suffered during the trip, including one’s own country as well as internationally. Unexpected happenings like lost luggage, cancellation of your flight at the last moment, travel agency or accommodation bankruptcy will most definitely ruin your trip. Therefore, travel insurance policy is designed to provide also cancellation insurance by means of full or partial refund. Whether you are travelling once or several times during a short period of time, the travel insurance policy will match and cover the exact number of the days spent in the international territory, in this case, the Schengen territory, the price ranging accordingly. What are the common restrictions and limitations? As previously mentioned there are travel insurance companies that don’t provide coverage for a preexisting condition in an international domain. In case you have a condition prior to your departure to Europe, you’ve consulted a doctor and are already on treatment and you’ve decided to travel out of the country, in this case, you are not prone to any medical cost alleviations via your insurer. However, if one is proclaimed fit to travel having the condition under control, most commonly the travel insurance is ought to cover an unexpected emergency related to the condition when travelling in an international domain, an acute onset of the preexisting condition. Sports – Participation in high-risk activities such as extreme sports e.g., scuba diving, skydiving, etc., can be excluded. War – Policies may exclude coverage for injuries caused by war when travelling to an endangered war zone. Duration – Many policies specify a time limit for coverage (e.g., 60 days) and the costs differ accordingly. Suicide in an international or domestic domain is excluded from any insurance policy as well as the self-inflicted injuries. In a case of any substance abuse, drugs or alcohol, domestic or international the medical expenses won’t be covered by your insurance policy. Is travel health insurance mandatory for visa-free third country nationals entering Schengen Area? Travel medical insurance is not mandatory for visa-free third country nationals. Nonetheless, it is highly recommended to get one in case of travel to the Schengen countries. Should we choose the travel insurance with 0 EUR deductible? It is not a requirement to get a travel insurance with 0 EUR deductible, however, it is best that you get one without a deductible.